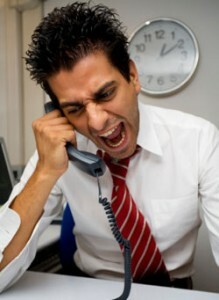 What to do when debt collector refuses to validate a debt? Question: I recently sent a letter for debt validation. A debtor had sent me a letter on 2-24-2011 saying they had recently bought a debt I owed on. I sent out my debt validation letter and received notice by US mail that it was received on 3-25-2011. I never received a validation letter back but on 4-21-2011 I received a letter offering a much lower debt settlement than the first letter. What should I do now? Answer: The Fair Debt Collection Practices Act does not state a hard rule on the specific time in which debt collectors must respond to debt validation. However, 30 days is a reasonable time limit for response because you should not have to wait around forever. 1. Send a 2nd request for validation, making sure you put on the letter this is your 2nd request and advise the debt collector since they are unable to validate the debt, immediately remove the debt from all of your credit reports. 2. Write a complaint letter to the Better Business Bureau stating the debt collector refused to comply with the FDCPA and will not validate the debt, yet they continue to try to collect the debt. Let the BBB know you want the debt removed from your credit reports immediately. Make sure you send a copy to your state’s attorney general. The BBB will open an investigation and some consumers have had great success in getting items deleted at this point because the debt collector has to produce something in response to the BBB complaint and usually they are unable to produce validation documents. 3. Report the company to the Federal Trade Commission and your state’s attorney general for noncompliance of the Validation of Debts section of the FDCPA. 4. Send a copy of the letter requesting debt validation to the credit bureaus and let them know the debt collector cannot validate the debt, therefore they must remove the listing from your credit reports immediately. The credit bureaus will open an investigation and the status of the debt will be determined within 30 days or less. It may get removed from your credit reports. But if the listing is verified, request the method of verification which puts the credit bureaus on the line for reporting inaccurate and unverifiable information. 5. If you know the debt is yours, you may want to consider making a lump sum payment of the settlement offer in exchange for a full deletion from your credit reports. Be sure to put everything in writing and add a clause which states the debt collector accept the settled upon amount as full and final payment and agree not to sell the unpaid portion to another debt collector or report it to the IRS as income. 6. Exercise your right to sue, either in small claims court or civil court for the debt collector’s willful noncompliance of the FDCPA.